Used Porsche 911 Review - 2005-2012 | What Car? What's the used Porsche 911 sports like? The Porsche 911 Cabriolet has long been regarded as one of the most rewarding wind in the hair driving experiences money can buy. However, it wasn’t until the arrival of the 997-generation model in 2005 that you could genuinely claim there was a soft-top 911 that could be driven with the same level of precision as its coupe cousin, on the road if not the track. With the 997 coupe already representing a benchmark of 911 design and engineering, this makes the Cabriolet reviewed here a seriously enticing option, not least when you factor in it is also reasonably practical for a high performance sports car, with a decent boot and even two very small rear seats which can either be used for kids or as extra storage space. The roof itself is a fabric design rather than a folding metal hard-top, which helps to keep weight down (the Cabriolet weighs only 85kg more than the coupe) and takes up less space when folded away. This can be done at the touch of a button at speeds of up to 31mph. With the roof down you don’t only get the benefit of the sun warming your head, but are also that much better exposed to one of the greatest engine sounds money can buy: a naturally aspirated Porsche flat-six. On the downside the Cabriolet loses out a little in refinement when the roof is in place compared with a 997 Coupe, particularly in terms of the amount of traffic noise you hear over your shoulder, although it should also be said that the roof is perfectly watertight and well insulated for warmth. The 997 Cabriolet range mirrors that of the coupe, meaning there’s a rear-wheel-drive 3.6-litre Carrera with 321bhp, or a 3.8-litre Carrera S with 350bhp. 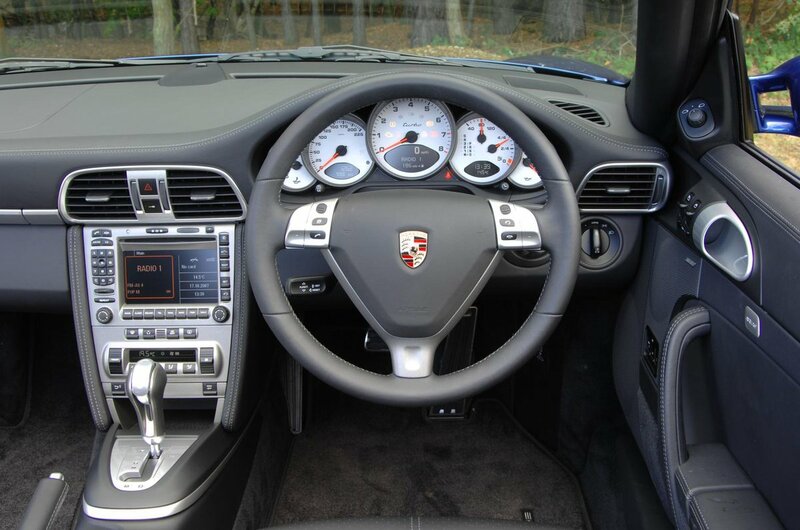 Alternatively opting for a Carrera 4 or Carrera 4S buys you these same engines but with four-wheel drive. 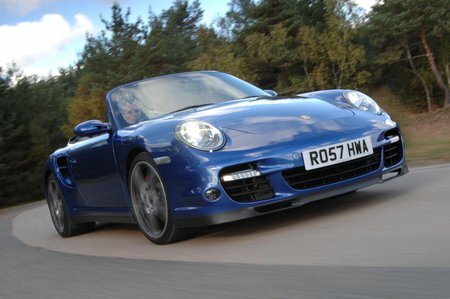 In 2009 a revised version of the 997 Cabriolet was introduced with new direct injection engines that resulted in the Carrera having 340bhp and the Carrera S 380bhp, as well as the optional automatic gearbox switching from a Tiptronic torque converter to a more responsive dual-clutch unit known as PDK. These later cars are known among enthusiasts as “Gen 2” as opposed to the earlier “Gen 1” cars. For even more power there is a four-wheel-drive Turbo version of the 997 Cabriolet with 480bhp in Gen 1 guise or 500bhp with the later Gen 2, which used a different engine. If that’s still not enough, the Gen 2 Turbo S produces a whopping 530bhp. Towards the end of the 997’s life a GTS model was introduced with a small increase in power, lowered suspension and centre-locking alloy wheels, creating what remains today one of the most desirables 911 Cabriolets of all.